Always double check to see what’s in the food that you bought. 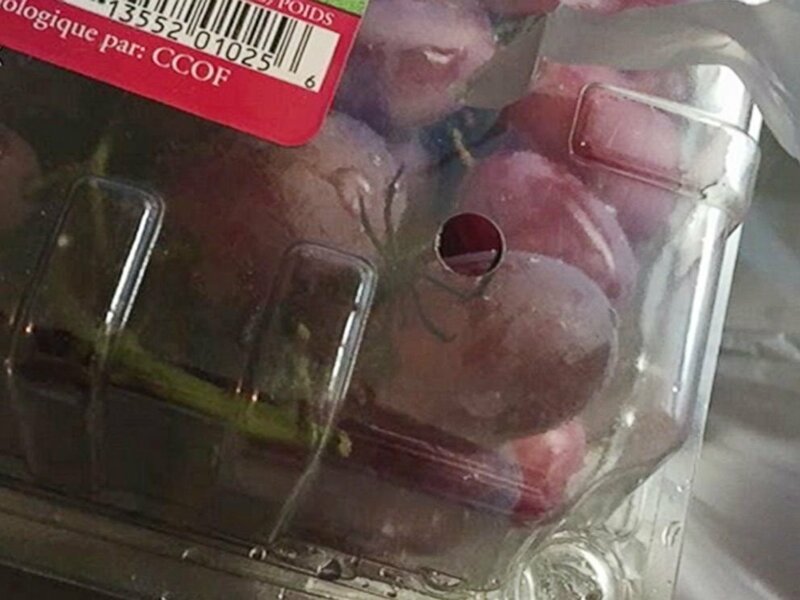 One woman in Michigan learned that the hard way when she discovered a poisonous spider in prepackaged grapes that she bought at Walmart. Ariel Jackson discovered the spider when she was washing the grapes. Horrified, her boyfriend, Michael Frank, took a calmer look at the spider before realizing that it was a black widow spider. The arachnid poses a venomous threat that could cause sickness and, in serious cases, even death. Frank explained the next steps to WXYZ-TV upon the discovery of the spider: “Frank said Jackson tried to call the local fire department and animal shelter to get advice on ‘how to dispose of it,’ but since both departments were closed, she resorted to 911.” The emergency number told them to simply “kill it,” and they did so with an insect killing spray. They couldn’t get a refund without returning the product with the spider in it, so they simply threw it away. Walmart responded to the incident by saying they hold their produce in high regard and will work with the local retail store to make sure an incident like this doesn’t happen again.